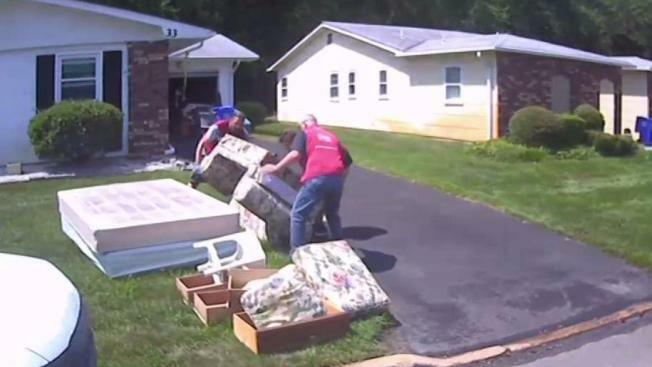 The cleanup continues in New Jersey as states of emergency were declared for multiple New Jersey counties. Brian Thompson reports. 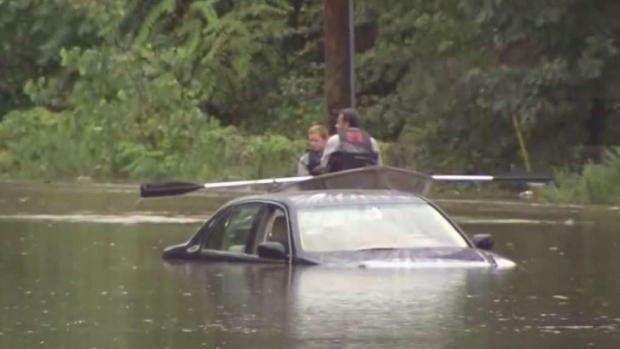 More relentless storms are expected to batter the tri-state area Tuesday, a day after torrential rains damaged hundreds of homes and prompted local states of emergency in nearly a half-dozen New Jersey counties. A line of powerful storms began cranking through the city early in the afternoon, and a flash flood warning was issued for every borough of New York City except Staten Island until 5:30 p.m. shortly after 4 p.m.
Gov. Murphy signed an executive order Tuesday declaring states of emergency for Bergen, Essex, Monmouth, Ocean and Passaic counties, where hundreds of homes were damaged and dozens of people and pets had to be rescued. Some communities got enough rainfall for an entire month over the last few days, he said -- and more storms are expected later in the afternoon. Although the rain isn't supposed to be as widespread as it was Monday, Storm Team 4 says any heavy downpours are capable of producing additional flash flooding, particularly in places like Little Falls, which was hard hit a day earlier. 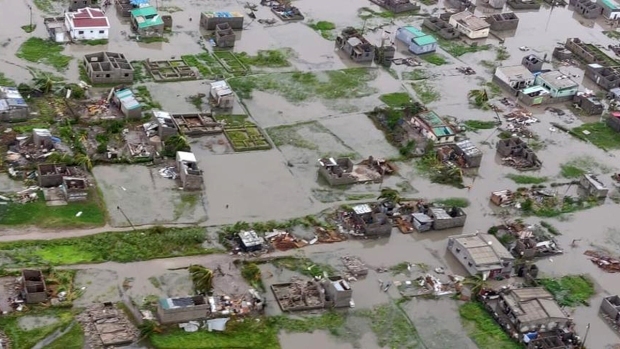 About 200 homes were damaged, and nearly three dozen left uninhabitable. Flood warnings remain in effect for New Jersey's Essex, Morris and Passaic counties. Watch StormTracker 4 live and get up-to-the-minute weather alerts here. 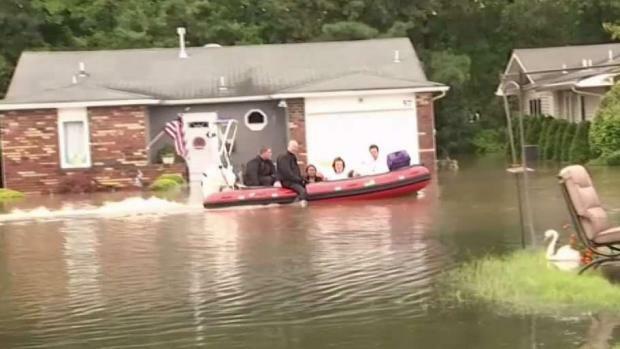 Nearly 100 people and pets had to be rescued from flooded homes in one New Jersey community and forecasters say no one is out of the woods yet. Rana Novini reports. The what-seems-to-be endless weather pattern began over the weekend as the relentless storms wreaked havoc around the region. Officials say cars from a nearby dealership floated during flooding over the weekend, blocking water from the overflowing Peckman River and sending it into an area where flooding wasn't supposed to happen. Now that the water has receded, homeowners without flood insurance on Jackson and surrounding streets are at a loss as to what to do. Murphy has promised to "look at every available option." This weekend's flooding rains mean lots of insurance claims. Lynda Baquero reports on how to navigate through the insurance system. A nicer day is in store Wednesday ahead of high pressure that will build back in from the southwest, Storm Team 4 says. That will pave the way for warmer, brighter and drier conditions on Thursday and Friday.